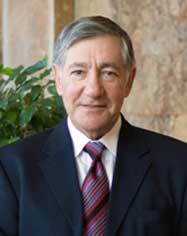 Basil Taibel is currently a Partner Emeritus with KBST&M. He joined the firm in 1991. He has over forty-five years of public accounting experience. His areas of concentration are in accounting services, individual and corporate taxation, business valuation services, management advisory services, and wealth management services. He has served many clients in various industries, including professional services, real estate, automotive dealerships, manufacturing, direct advertising, and contracting. Basil holds a Bachelor of Science degree in Theory of Accounting from the University of Cape Town, South Africa and has served on many non-profit and charitable organization boards.